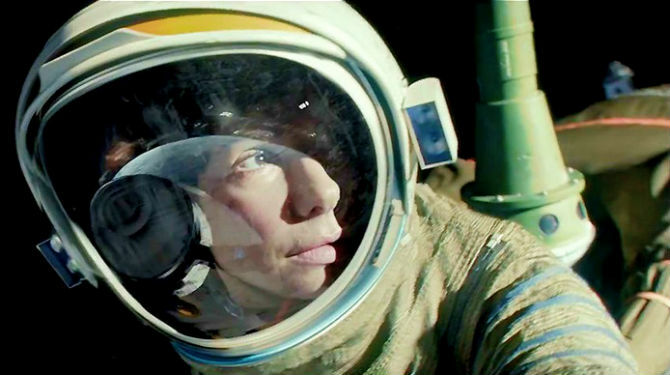 Must see trailer with Sandra Bullock and George Clooney. Both are astronauts. Clooney is the veteran, Bullock is the newbie. Things go terribly wrong on a routine spacewalk. I hope this is not another 'Open Water,' a film about a pair of doomed deep sea divers. According to the synopsis they have to go deeper into space to find a way home. I'm curious as to what they find. I'm not sure how astronauts survive without a space shuttle. Alfonso Cuaron, director of 'Children of Men' directs. 'Gravity' "falls" on October 4th. It will be dark and heavy, but they got great actors for the roles. I think it will be really good. Hmmmm. Skeptical but open to trying the movie. It looks interesting. As Alex says they are good actors. The trailer was suspenseful and I hope they didn't use it all up.